Cleaning ProcedureClean the camshaft in solvent. 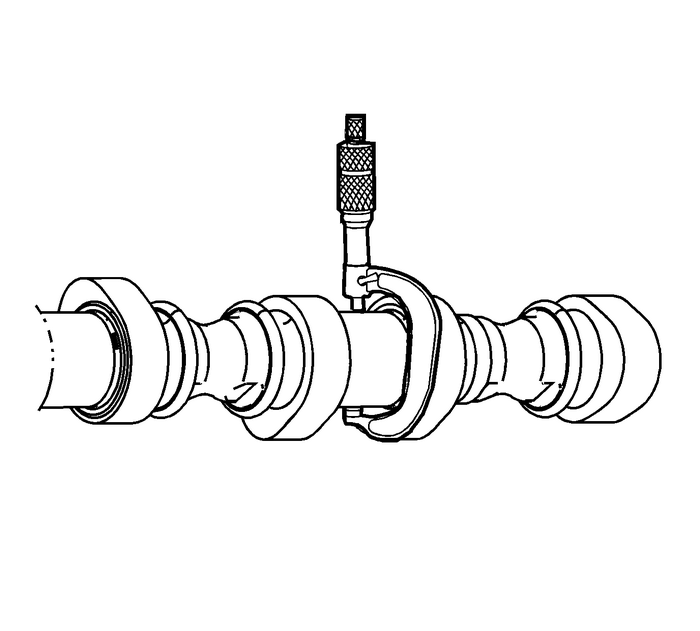 With the camshaft in a suitable fixture, measure the camshaftfor wear. Measure the camshaft journals for diameter andout-of-round using an outside micrometer.Refer toEngine Mechanical Specifications.If the diameter is smaller than specifications, replace thecamshaft.If the out-of-round exceedsspecifications, replace the camshaft. 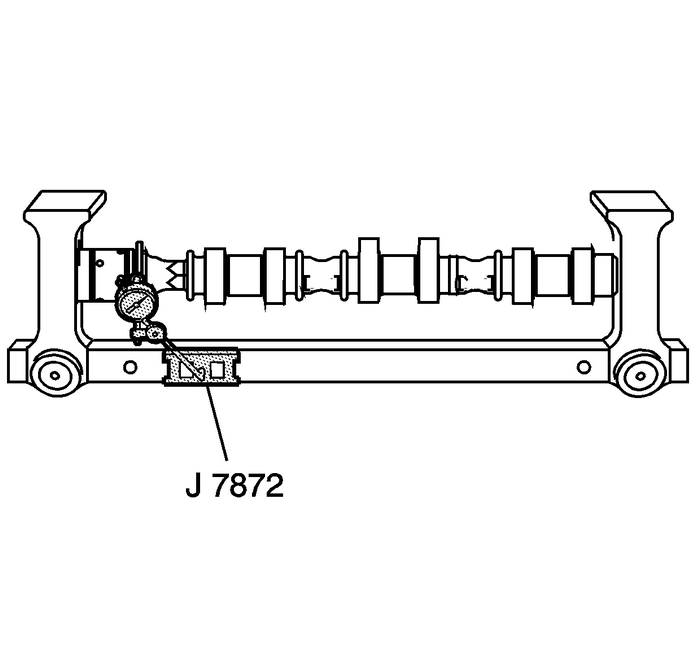 Measure the camshaft runout using theGE 7872indicator. Refer toEngine Mechanical Specifications. 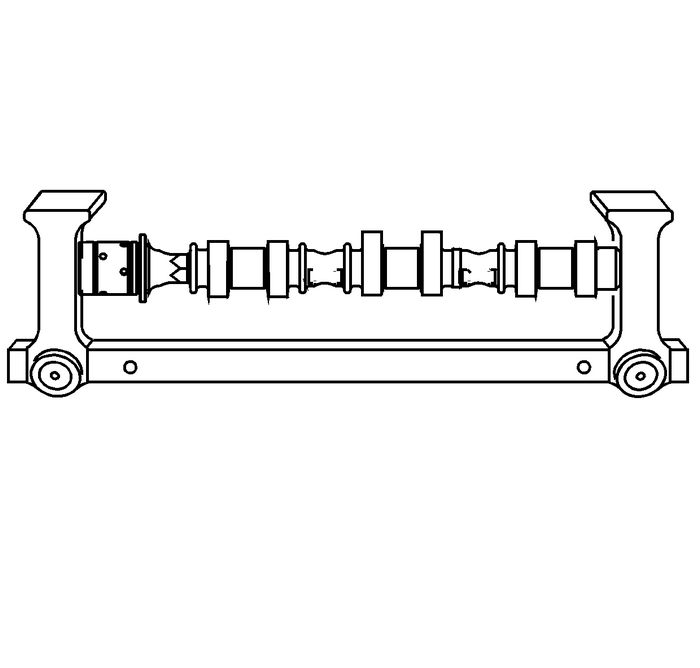 Measure the camshaft thrust width for wear using a depthmicrometer. Refer toEngine Mechanical Specifications. 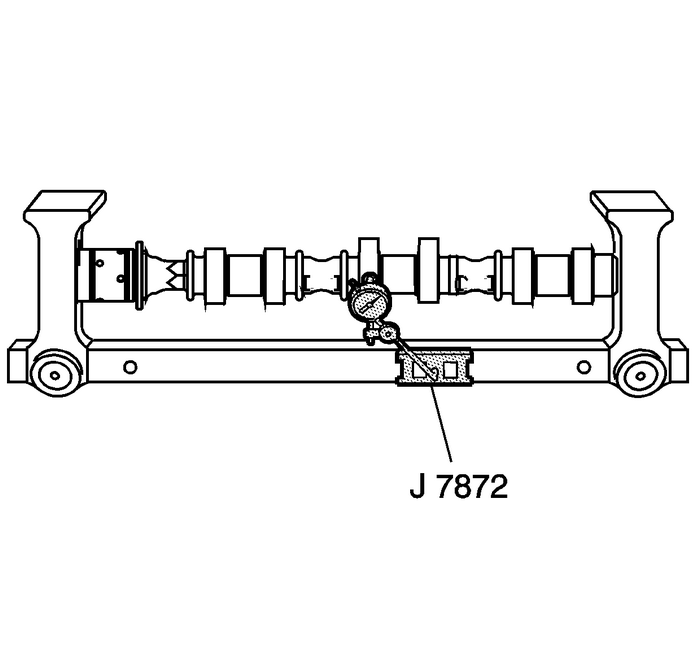 Measure the camshaft thrust wall surface for runout usingGE 7872indicator. Refer toEngine Mechanical Specifications.If the camshaft is damaged or worn beyond specifications,replace the camshaft. 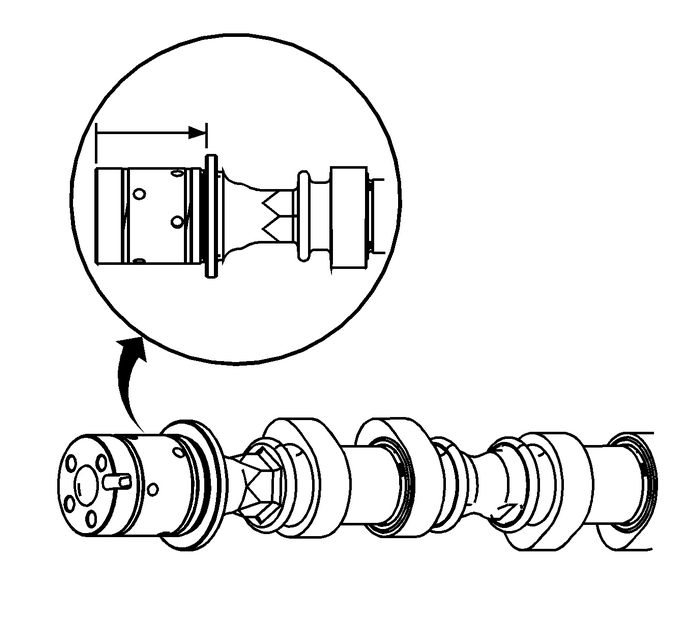 No machining of the camshaft isallowed. 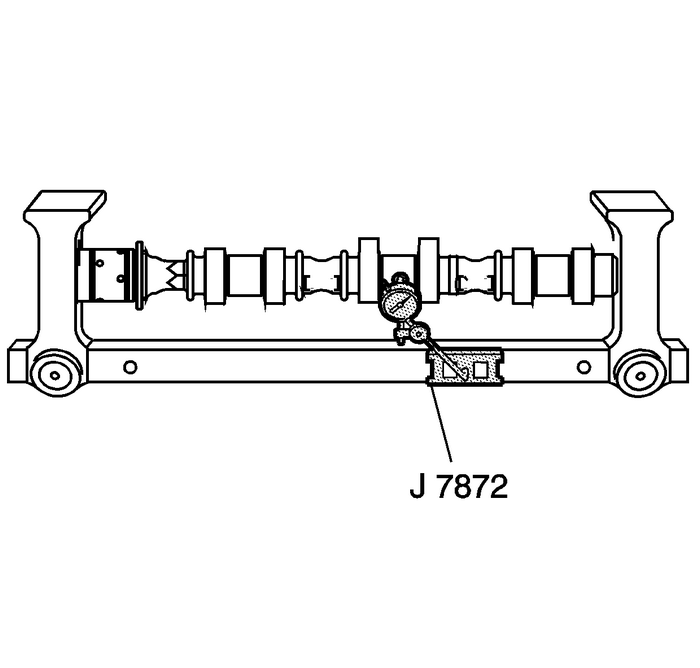 Measure the camshaft lobes for wear using theGE 7872indicator. 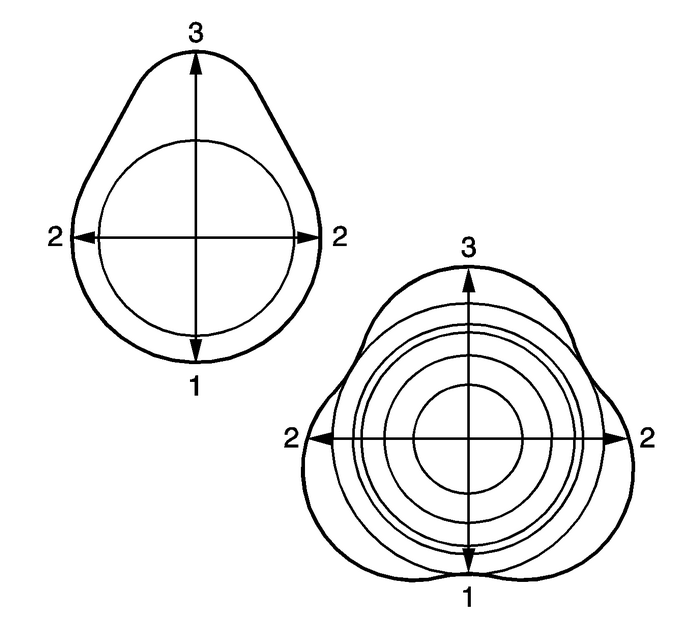 Place theGE 7872indicatorwith the indicator tip on the base circle-(1)of the camshaft lobe.Place theGE 7872indicatorat zero.Rotate the camshaft until the indicator tip is at the highestpoint-(3) on the lobe. 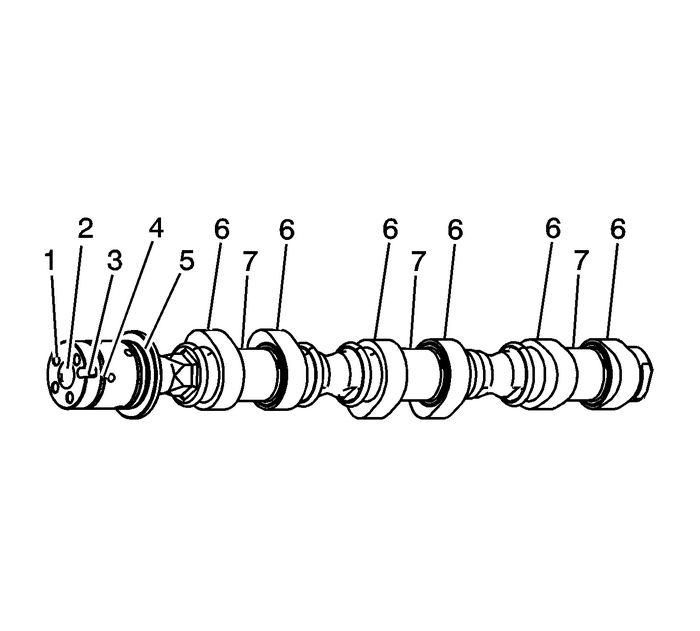 This reading is the lift of thecamshaft lobe. Refer toEngine Mechanical Specifications.If the indicated measurement is significantly lower thanthese specifications, replace the camshaft or engine performancewill be reduced.